b) WI members who are proficient in some handicraft and are willing to use the knowledge for the furtherance of such craft in their neighbourhood. There were a series of proficiency tests which a member had to complete before she could train as a demonstrator, instructor or judge. Some members were able to use these skills to set up local 'industries', for example Ticehurst WI in Sussex set up an industry in smocked dresses and jumpers for children, which were advertised in The Lady. 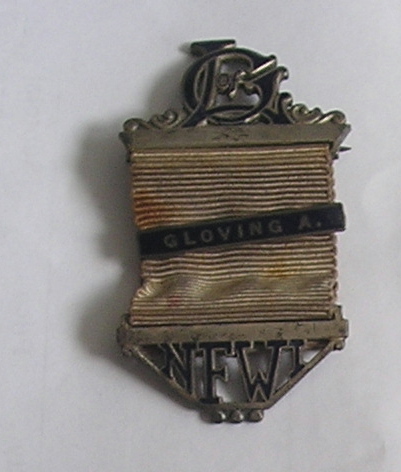 In Warwickshire there was skin curing, fur craft and glove making; in Devon dying, weaving and making socks. 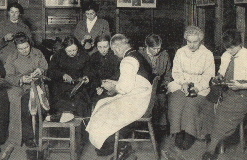 As well as the Guild of Learners there was regular instruction as part of the WI programmes in practical skills such as boot mending and tinkering (to mend pots and pans).